Looks way too good to be 1/72. Not sure I believe the caption…………. Given the name attached to it, and his other work in 1/72, I'd say it probably is Leon. Are they AB figures then ? Those are the only ones that I know of that have that sort of detail and expression in the faces. No not AB… Possibly Mantis resin figures or one of the high end makers used by modellers. Amazing sculpting and painting for 1/72. Until I saw the name on the right of the pic, I was going to ask if you'd started doing dioramas, Piers! Their paint sets are apparently from Spain. Anyone know if these are made for them by Vallejo or may in fact be just rebottled Vallejo color under their brand? There are quite a few companies sprouting up doing these type of quality figures now in 1/72. Andreas is another. It just goes to show that there must be an upsurge in 20mm (1/72nd) Braille Scale modelling, thanks to guys like the excellent modeller Alex Clarke . 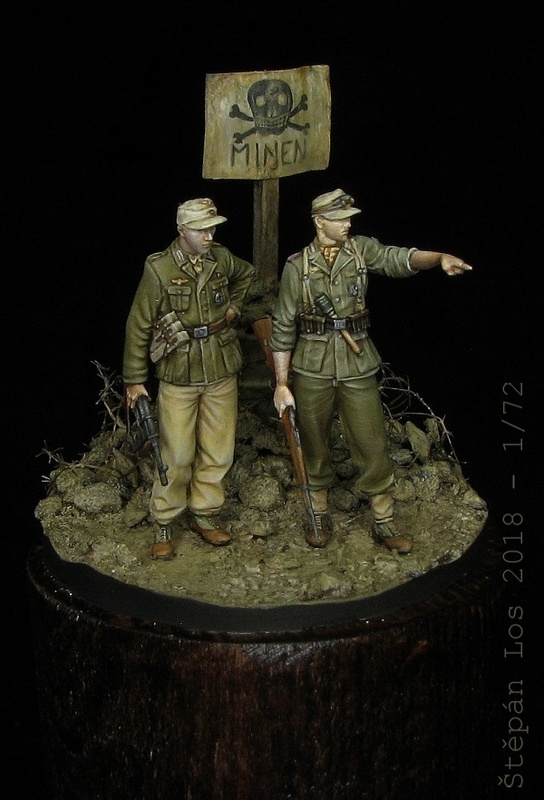 Despite the popularity of 28mm for wargaming, 20mm is still going well and new models are coming out all of the time.